PLEASE USE THE "REQUEST A QUOTE" BUTTON TO RECEIVE YOUR WHOLESALE PRICE! 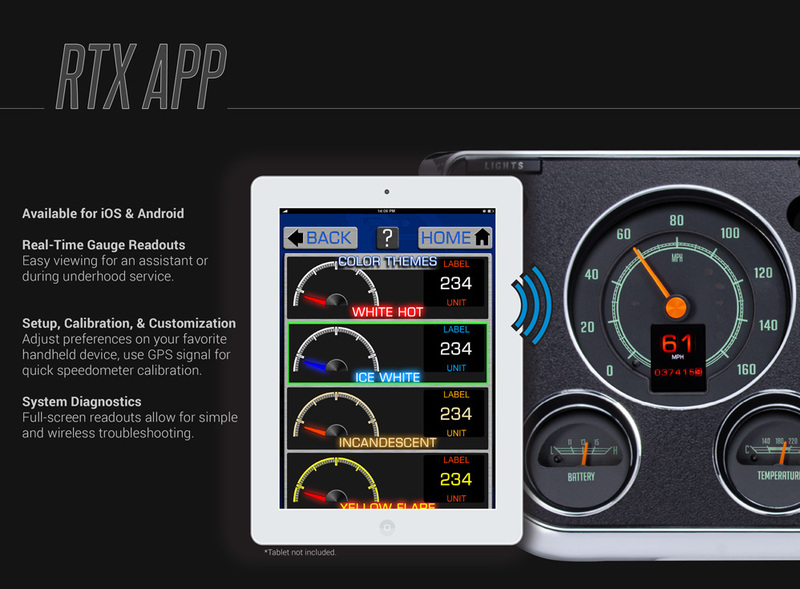 A long, sweeping speedometer flanked by a pair of dual gauges keeps the OEM feel of your 1966-67 Chevelle, Malibu or El Camino, but the two 1.8” TFT message centers, LED backlighting and hidden indicators bring your view straight into the future. 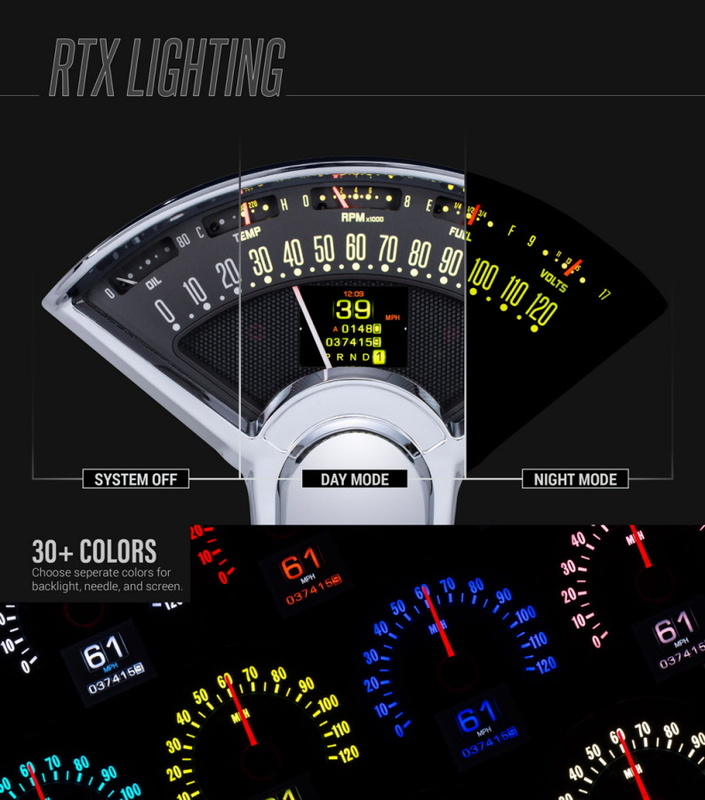 Just below the speedometer and invisible until the key is on, you’ll find an LED bar-graph tach, plus we kept the horizontal lines on the face for the ultimate in stock appearance. Starting from scratch, CNC machined housings are filled with electronics designed and built in-house, helping Dakota Digital once again raises the bar for aftermarket instrumentation. 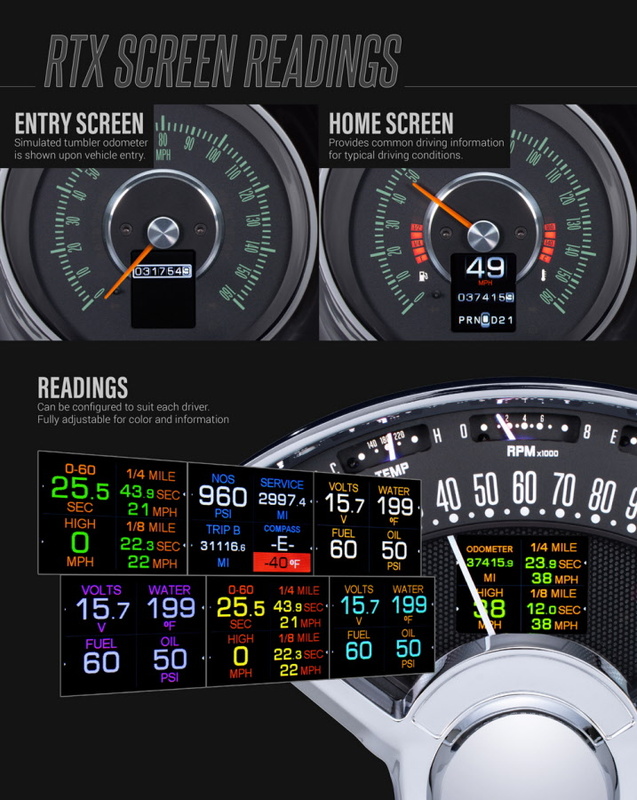 The high-definition TFT message centers can be fully configured to display just about any piece of information needed, or just leave the vintage-looking tumbler odometer on the screen for a totally stock appearance. 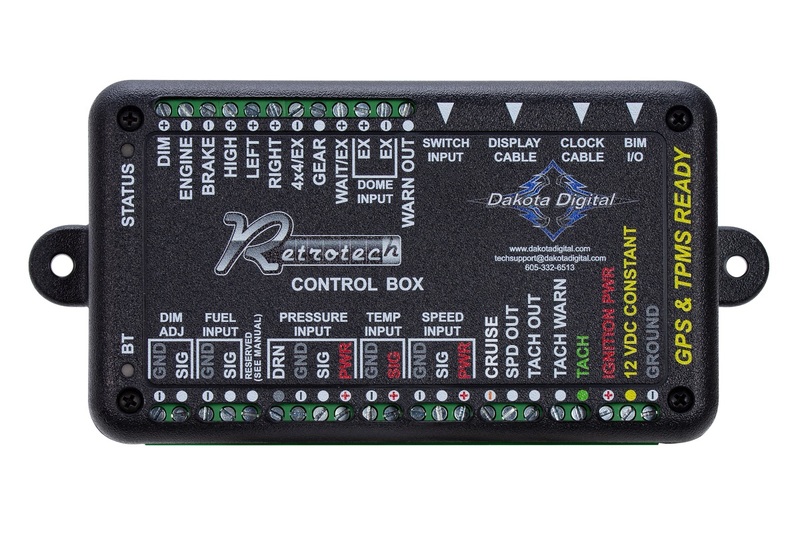 As you’ve come to expect from Dakota Digital, the RTX series utilizes a central control box to make installation and setup as easy as possible. 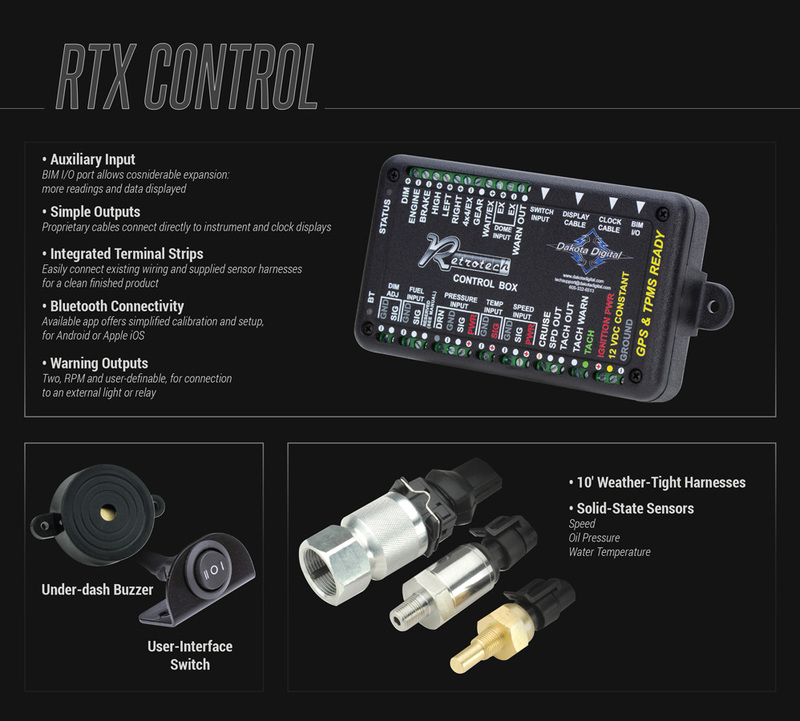 Click the tabs below for a more in-depth look at the RTX series!